Matching neon trucker hats for the bride and groom to wear! Customize this cute and trendy neon hat for the bride to be to wear with her soon to be hubby. Add her name, wedding date or any other text. 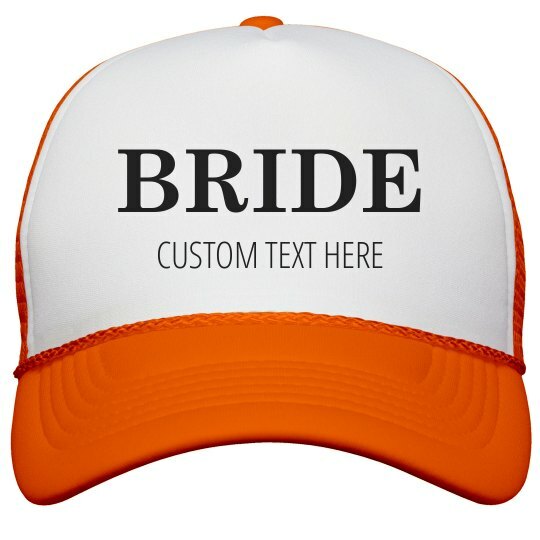 Be sure to get the groom his matching hat.